My inspiration often comes when knitting or looking at a stitch pattern, "this flower could be turned into a heart if I just change this and that" or "that cable could be exaggerated into looking like barbed wire, I wonder if anyone else has done that.." I find that when I knit a lot I get many new ideas whereas when I'm only knitting a little bit a day I'll get confused on what to start next. Please tell us a little about your focus on lace knitting. Lace patterns are the things that always pop up in my head. This will sound a bit pompous but it's like the yarn overs and decreases forming lace patterns are the knitting language I speak fluently. I'm hoping I will be able to build up this sense for cables soon but at the moment they are much more of a mystery to me. So I haven't made a deliberate choice to focus on lace, it's just what I learned first and with what I feel most comfortable. Of course I look at others' works, but I try not to do it too much, it's easy to get swept away for hours and loose too much knitting time! It might be different for me since English isn't my native language, long instructions make me nervous and absolutely don't make it easier. I remember only knowing the terms knit and purl and understanding chart symbols, the instructions I was working from said to work 6 rows of garter stitch, aah, I didn't know what that meant! But as it turns out garter stitch is a very useful word, and it didn't take me long to look it up elsewhere. I'm glad every pattern I've read since then doesn't have long explanations of how to knit garter stitch. 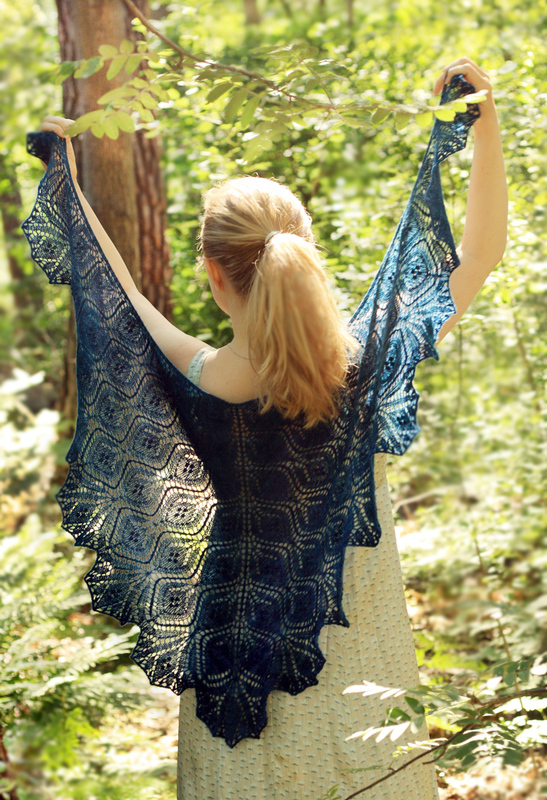 I now make patterns the way I would have liked to have found them, describing things without detours, and if it's your first shawl or your first time reading an English pattern you might need to look things up. I try to always have two versions of the design, I make one and a friend does all the second samples. But there are actually two designs I haven't knitted, it was my husband who did them and I just sat next to him with my knitting talking about how to tackle upcoming issues. I also have several test knitters, they are wonderful at giving helpful input without high expectations in return. No, I didn't think much about the business part. I started out just wanting to try writing a pattern. I then took a two day course on starting a business, learned I could still classify it as income from hobby and forgot the rest. No, I don't, it would be very interesting though, come to think of it. I have actually never really talked about designing to anyone in the business. Ha ha! 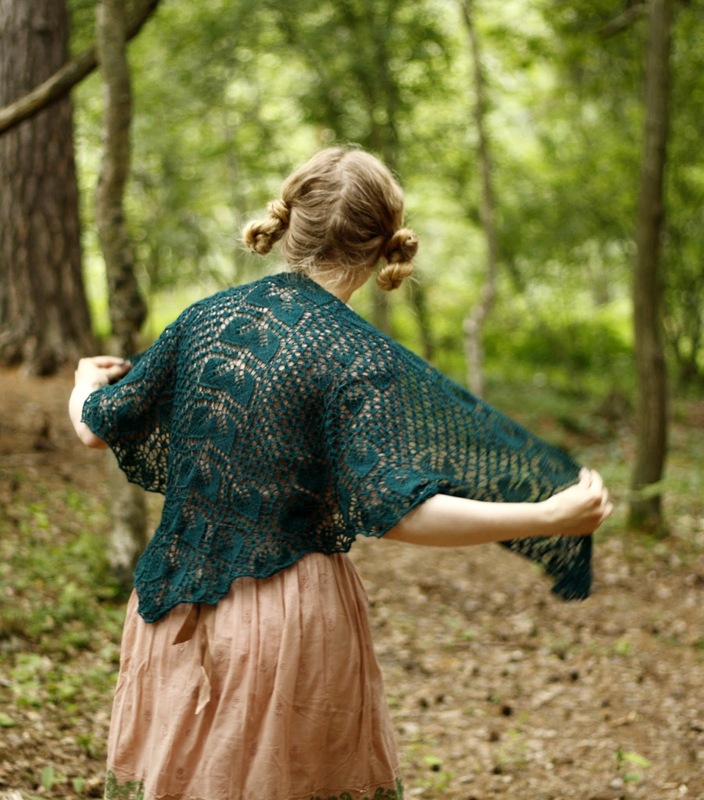 If it wasn't for the internet I wouldn't have learned how to knit lace, and if it wasn't for Ravelry I wouldn't have gotten the positive comments that made me believe in my knitting. I cannot imagine my life without the knitting community and knitting friends I have over the internet. Not really, my husband does layout, charts and schematics and a friend does knit and language checking. Balance? 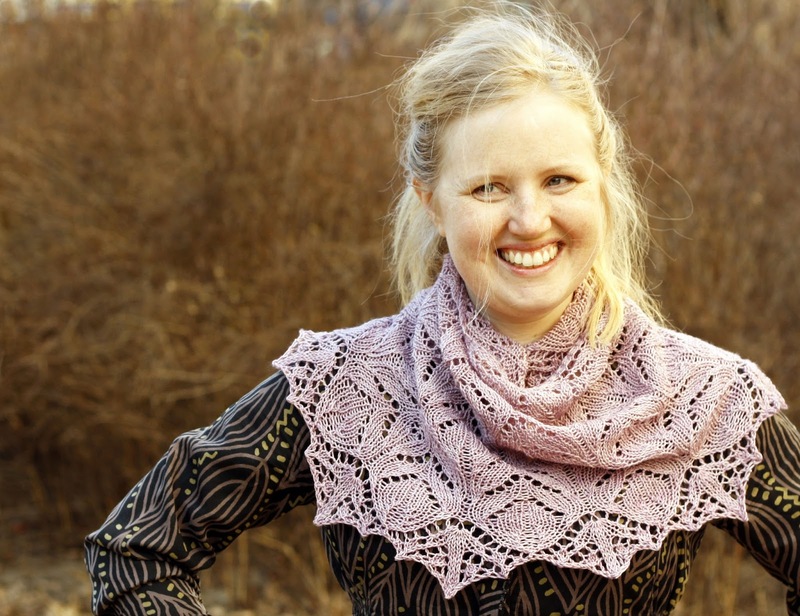 It's self-regulating I think, I have a toddler and I don't dare to pull out my lace knitting when she is in the room. I haven't had much criticism, if it hits a sore spot and there really is a problem I would get sad but try to fix it, but there are the random "I would have liked the pattern better if it looked differently" which I just ignore. Talking to other knitters eases my mind, but it is one of my fears when it comes to growing, both the positive and the negative will increase so I will need to get tougher. I don't support myself on designing, I also have a full time job. I thought it would just finance my yarn addiction but it now does a little more than that. Knit what you like and do what makes you happy, then if a pattern doesn't sell at all at least you had fun producing it!